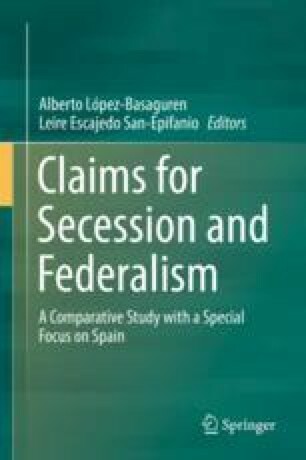 This chapter explores the use of federalism and secession as tools for managing regional conflict within pluralist governance, drawing on underappreciated features of the American experience. Epic struggles to balance autonomy with interdependence have taken on new urgency as dissatisfaction with globalization inspires political cataclysms unimaginable just a few years ago—including ‘Brexit’ from the European Union and American threats to leave NATO. The same impetus toward devolution also surfaces in heated intra-national conflicts. Recent calls for secession in Catalonia, Iraqi Kurdistan, Scotland, Québec, South Sudan, and even from within the United States reveal multiple political contexts in which questions have been raised about how best to balance competing claims for autonomy, interdependence, political voice, and exit. As devolution movements destabilize institutions once thought impenetrably secure, scholars around the globe are tapping the wisdom of the Westphalian and post-Westphalian worlds to better understand the available tools for managing these conflicts. In support of that goal, this Article probes the American experience for lessons on managing endemic tensions between autonomy and interdependence in societies composed of different regional, cultural, and ideological subcommunities. It explores American secession in contexts familiar and controversial, from the subnational to the national level, from the American Revolution to the Civil War and beyond. It assesses the unique advantages of U.S. federalism for mediating opposing forces of political entropy, which operate to pull the component pieces of pluralist nations apart, and political gravity, which pull them together in pursuit of common goals. Like all systems of federalism, the U.S. model cultivates the “sweet spot” between competing claims for local autonomy and national interdependence, allocating sovereign authority among levels of government where each best advances the overall goal. While the American model is not suitable in all contexts, the availability of nested political sites for regional expression, interjurisdictional innovation, and negotiated governance have helped fortify the American Union against the kinds of conflicts that can foment fragmentation. I am grateful to Alberto Lopez Basaguren and the University of the Basque Country for the invitation to be part of this project and to Barbara Kaplan for her invaluable research support. This chapter was first published as an article in the OREGON LAW REVIEW (96 Or. L. Rev. 123 (2017)). We thank the journal for its generous permission to reprint the piece as a chapter in this collection. I am grateful to Alberto Lopez Basaguren and the University of the Basque Country for the invitation to be part of this project, to Barbara Kaplan for her invaluable research support on this project, and to Daniel Wolfe and Sarah Fodge for their research assistance. Bennhold K (2017) Amid divisions in U.K. over ‘Brexit,’ Nicola Sturgeon calls for new referendum on Scottish Independence. New York Times, 13 March. https://www.nytimes.com/2017/03/13/world/europe/scotland-referendum-independence.html.